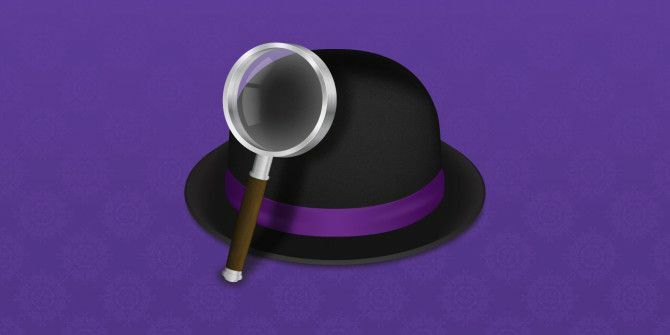 Alfred is one of the most powerful and versatile application launchers on Mac OS X. It was rightly included in Bakari Chavanu’s 2013 productivity roundup, and it sits pride of place on our Best Mac Software page. Now that users and developers are able to extend Alfred’s capabilities by adding their own workflows, calling it an ‘application launcher’ seems a bit limiting. Here are six workflows to inspire a better approach to your most common OS X operations. Alfred workflows are packaged as *.workflow files. With Alfred on your computer, double-click a workflow file to add it to Alfred’s repertoire. Most of the workflows covered in this article link to threads on the Alfred forums. You’ll be able to download the workflow files from there. If a workflow is hosted on Github, there will be a lot of other (code) files as well. Just press the Download ZIP button in the right sidebar, and you’ll find the *.workflow file within. With the media keys on your Mac, some limited interaction with Spotify is always within reach. It’s easy to play, pause, or skip songs without leaving your current environment altogether. For more interaction, you’ll need to open the Spotify window. Unless you’re using an Alfred workflow like Spotifious. Spotifious effectively adds a Spotify mini-player in Alfred, triggered by the spot keyword. You can use it to direct Spotify with a few simple keystrokes, all without leaving whatever you’re currently doing. Spotifious ties in to the Spotify API and let’s you search for artist, album or track name. You can even browse the tracks within an album; still inside Alfred. Your computer may be littered with files, but 90 percent of the time you’re only interested in the same few: files you’ve already accessed recently, or files you’ve accessed repeatedly. Instead of launching Finder and looking for the files in question (or using the Recent Items menu on your Mac that’s somewhat limited in scope), you can use the Recent Items 3.0 workflow for Alfred. The workflow is triggered by the rec keyword. This opens up the navigation menu shown in the screenshot above where you can select a category to narrow down your search. The available options are Just Now (for the most recently accessed files), Folders, Applications, Plain Text, Documents, Scripts and Favorites. The Favorites category gives you the option to put some files and folders within easy reach; files you access daily, or the folder where you store your work. The easiest way to add a file is using the Alfred File Action menu. Press the right arrow key when Alfred has highlighted the folder and scroll all the way down. The Recent Items workflow covered above gives you access to a lot of useful files. There’s one category that doesn’t seem covered, though; the files recently added to your computer. Recent Download fills the gap and works well in tandem with Recent Items workflow. Recent Downloads is triggered by using the recent keyword, after which Alfred starts populating with a list of your most recent downloads. When you’ve been browsing the web for a while, the tabs start mounting. Sometimes, your browser can get so riddled with tabs it’s easier to open up a website in a new one than to search for the previous instance. Obviously, that’s not a good solution. Search Tabs goes a long way to manage it. More so, it provides a convenient way to switch browser tabs using your keyboard (aside from Ctrl+Tab’ing). Search Tabs is triggered by the tabs keyword. It will immediately show a list of all your open tabs. Type some additional keywords to filter down the selection. Quick and easy. Even better, Search Tabs supports Safari, Chrome, Chromium, Chrome Canary and Webkit, and lets you search multiple browsers at once. Alas, there’s currently no support for Firefox. You can already search Wikipedia using the Alfred search engines, but it’s a bit of hit and miss. You’re really just mounting a search, so there’s little interaction in Alfred. Wikipedia ML adds some extra spice to the mix. Most importantly, it shows the results of your query inline, so you can jump straight away to the right article. It also supports multiple languages (all, as a matter of fact). Wikipedia ML is triggered using the w keyword. Follow it up with the language code (e.g. en for English or es for Spanish; there’s a complete list of language codes available here) and your search query. You can also fix Wikipedia ML on a single language for ease of access. To do this, go to Alfred Preferences > Workflows > Wikipedia ML, double-click the Script Filter node and follow the instructions therein. For more workflow tips, check out 9 awesome workflows 9 Awesome Alfred Workflows I'm Loving [Mac OSX] 9 Awesome Alfred Workflows I'm Loving [Mac OSX] Alfred is a task launcher for Mac OSX - hit a shortcut, start typing the name of a file, folder, contact, application or search term, and bam - there it is. Since version 2, the... Read More recommended by James Bruce. Perhaps even try your hand at building your own Alfred workflow How To Create Your First Workflow System In Alfred 2.0 [Mac] How To Create Your First Workflow System In Alfred 2.0 [Mac] Computers should be about getting things done faster and more efficiently. This is where the award-winning productivity Mac application, Alfred comes in. Using a few keyboard shortcuts, and/or keyword commands, Alfred enables you to quickly,... Read More . What are your favourite Alfred workflows? Let us know in the comments section below! Thanks! The recent items one seems useful :). Anything for Launchy? Stuff other than the default plugins?